In addition to the dial a ride service we will have additional minibus transport on the island for the fun day. We will be meeting all ferries on Saturday, but would greatly appreciate if you could book either with the dial a ride or with us. 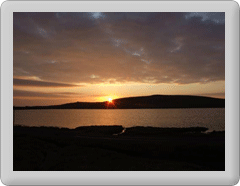 Full details available on the Fetlar fun day page. During the day there will be a limited service transporting people between activities and the hall. There will be transport back to all ferries as well, but it is essential that you book this so that we can make sure you get picked up. As an indication the minibus would leave the hall around 20 minutes before departure time for the ferry, with pick ups from the east of the island being earlier. It is forecast to be a warm dry day on Saturday and all going well the sun will break through during the day. We look forward to seeing you, it will be a great day out.